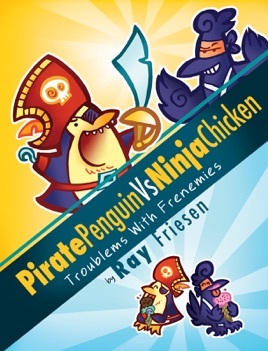 Pirates and ninjas going head-to-head is a familiar comedy-action trope, but Friesen gives it an energetic twist by making the pirate a penguin and the ninja a chicken. And by making them friends... sort of. 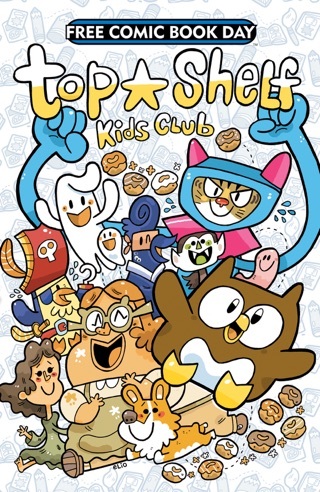 The pair pass the time by sparring verbally and physically but also by hanging out, taking on mutual enemies (like Camouflagey Chameleon and Steve the Owl the Drycleaner), and, eventually, joining forces against an interdimensional monster summoned by Kung Fu Koala. 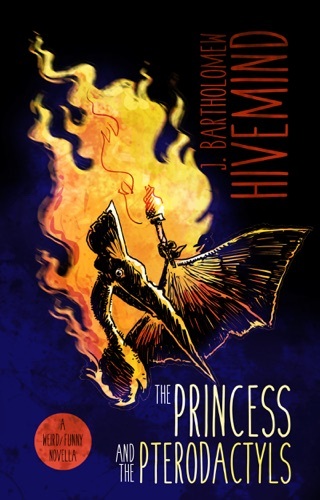 Like many recent print comics, this one was brought into the world as a web comic and has the episodic format that is common to that medium. 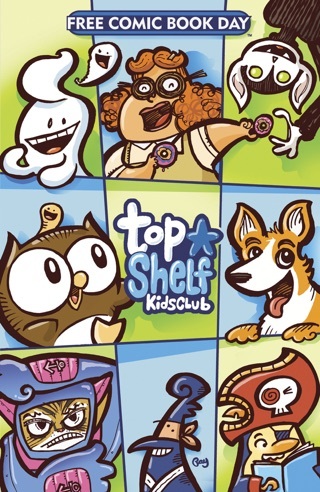 Still, the personalities of the colorful characters build over the course of the two- or three-page stories, and they re fully realized by the time readers get to the second half of the book, a long story called The Biggest, Giantest Epicest Pirate Penguin Versus Ninja Chicken Story Evar! The characters are definitely the focus; backgrounds are often empty in panels, so there s no real sense of the world in which Penguin and Chicken live. The banter between the two often falls flat, too, not quite rising to the level of screwball comedy it aspires to. Ages 9 12. 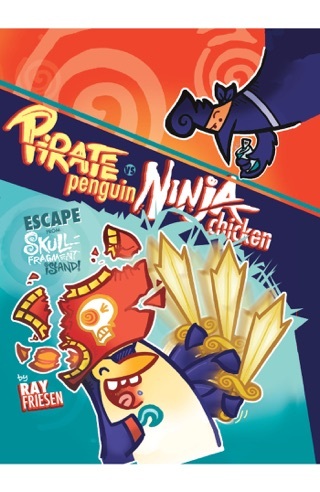 Pirate Penguin vs. Ninja Chicken, Book 2: Escape from Skull-Fragment Island!